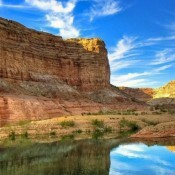 Arizona is a state in the South-Western region of the United States. It is also part of the Western United States and of the Mountain West states. It is the sixth most extensive and the 15th most populous of the 50 states. 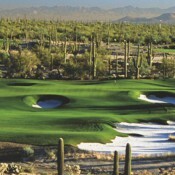 Few would dispute that Arizona, with golf-rich cities such as Scottsdale and Phoenix is one of the world's premier golf destinations. Arizona's golf courses are as diverse and spectacular as its landscape. Across the state there are more than 300 courses, from traditional links-style layouts to target courses, Arizona possesses an obscene number of courses to challenge your skills and provide you with some unbeatable vacation leisure.